Hi folks, hope this is still the right place to ask this question, but I need some help identifying this fungus. Found it at the edge of field where cattle were grazing. Nearest woodland was a fair distance away so it stood out quite obviously. wasn't going to get back there for a few days (three weeks actually what with work and the weather) so photographed what was there. 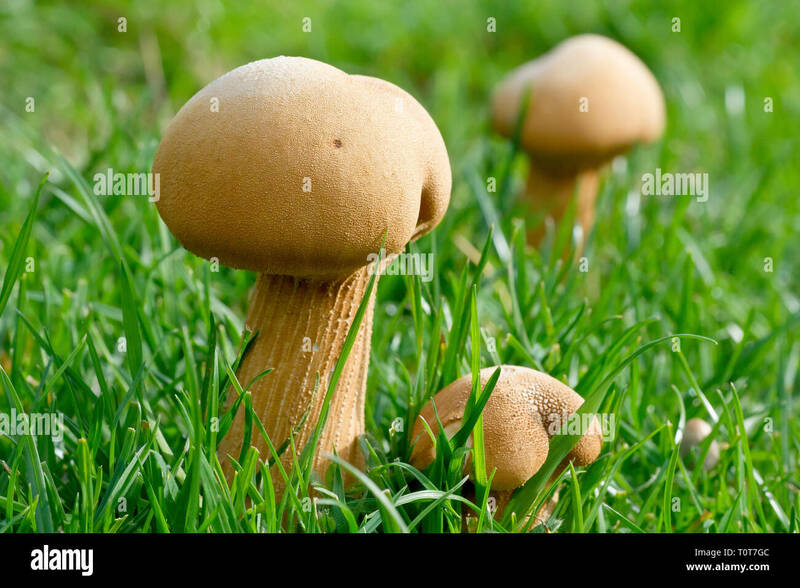 The nearest I've come to an ID is "hygrophorus nemoreus" or "hygrophorus pratensis" but none of the pictures I've looked at seem to match. Hope someone can nail it down. Thanks. Hi guys, thanks for your responses. Just done a Google image search and looked at a few websites with your suggestions, but there seems to be so many variations on a theme that I'm still unsure as to what it is. 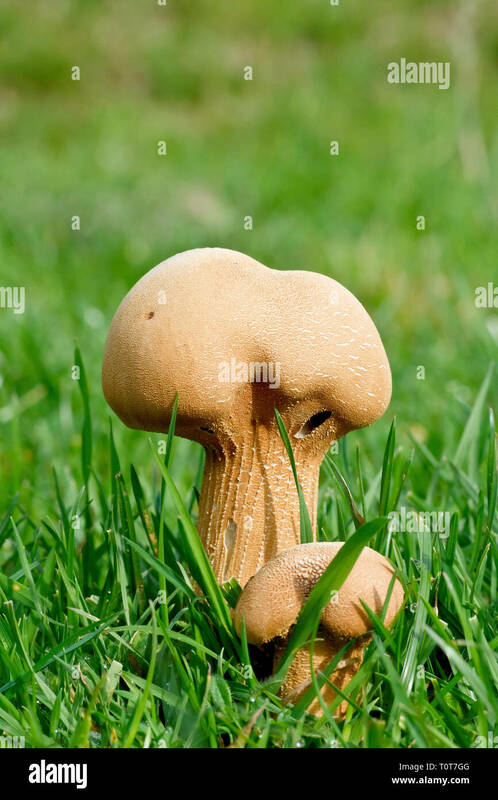 The two fungi you suggested seem to grow in woodland whereas this was growing in a field with the nearest trees about a mile away. I'll keep looking myself but any other suggestions will be most welcome. For what it is worth treat where fungi are supposed to grow as not set in stone. The first time I ever saw wood blewits they were on a narrow roadside verge in the middle of blocks of flats in the middle of a housing estate - no wood field or hedgerow for miles and gardens were mainly paved. They were identified for me by a serious hobbyist who checked spore patterns etc (as I now know but did not then this was not a particularly challenging species to identify) and certainly were not supposed to be growing where they were. If everything else fits then do not get over worried about where they are growing. Yes, I've found many a wildflower growing in any number of weird and wonderful places in my time. But with fungi I always believed they had a symbiotic relationship with a particular tree or plant, i.e. slimy beech caps on beech trees and birch polypores on birch trees. I'm probably not alone in this but I like to be sure I've got the right details for what I photograph and this one is beginning to bug me. Honestly, if she wants us to know what we're shooting Mother Nature is going to have to improve on her keywording! I know exactly what you mean with accuracy - I think one of the things that is causing blips in fungi is the popularity of bark and wood chippings as everything from fertilizer to landscaping to composting. You can now never tell whether a spot has been subject to having something dumped on it then removed leaving tiny bits. Add to that, scientists being constantly surprised at how fast mother nature can and does adapt to things - there is a car near me with lichen growing (apparently happily) all over the paintwork (which I am now going to have to photograph as it appears to be an unusual subject lol). The trouble with fungi is a lot of the time you need spore analysis to be sure. You could always try labelling it "atypical" and state that although it appears to be such and such it was growing where you would not expect and maybe a different species. Then it will still show up in searches but you have not promised it is correct.